At Odyssey Dental Care in Winnipeg, our family dentists provide extractions for patients who require wisdom teeth removal. Wisdom teeth are molars that erupt behind your regular teeth often referred to as "3rd molars". For most, wisdom teeth surface between the ages of 16 to 25. Most people develop four wisdom teeth, but some people may have three or less. In fact, some people never develop wisdom teeth at all. During your regular check-up, if our experienced team at Odyssey Dental Care is concerned about your wisdom teeth, we will take an x-ray to examine the position of the wisdom teeth. Depending on your age and the position of the teeth, and whether or not your mouth can accommodate the teeth, we may recommend waiting to observe how your wisdom teeth progress before proceeding with treatment. If a wisdom tooth is impacted, it is growing into your mouth sideways instead of straight up or down. If an impacted wisdom tooth is not removed at the ideal time, it can cause damage to the teeth next to it and potentially trigger significant pain. During your appointment, our attentive team will explain how you will care for your mouth after the extraction. 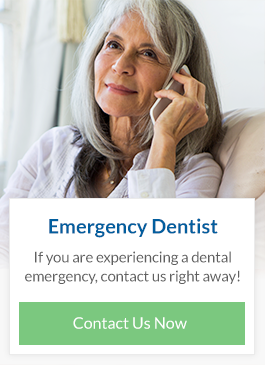 By following some simple steps, you can prevent any complications following extraction. In most cases, we’ll recommend biting on gauze to keep pressure on the extraction point following surgery, regular application of ice to the area, and eating soft foods for several days. After your procedure, we recommend eating soft foods such as smoothies, apple sauce, ice cream and pudding – you are not restricted to just these foods though! As you heal, you can add solid foods back into your diet.